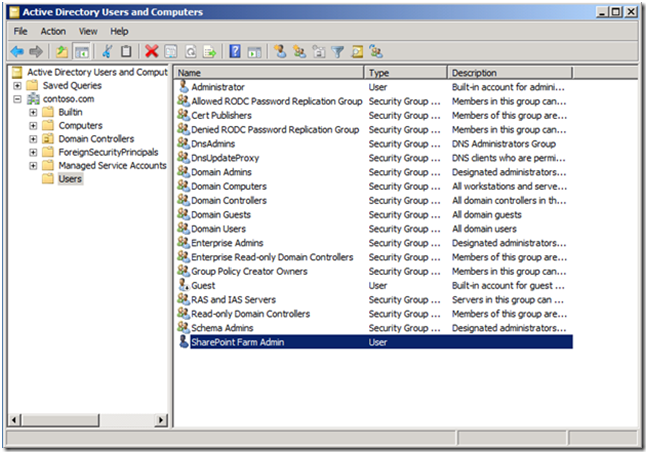 Open Active Directory Users and Groups with local machine Administrator permissions. 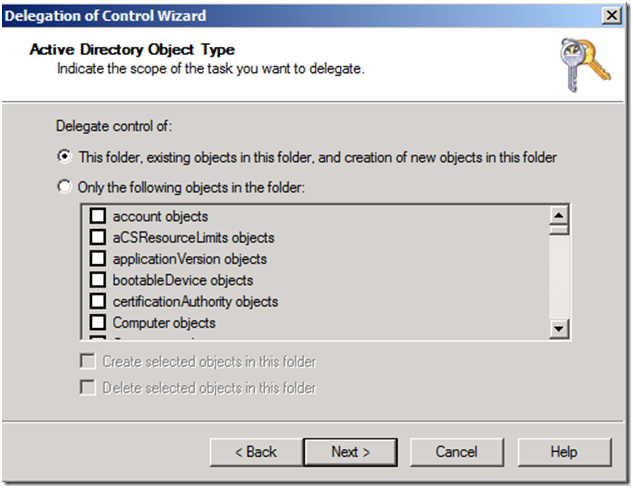 Right click the domain and select Delegation Control. 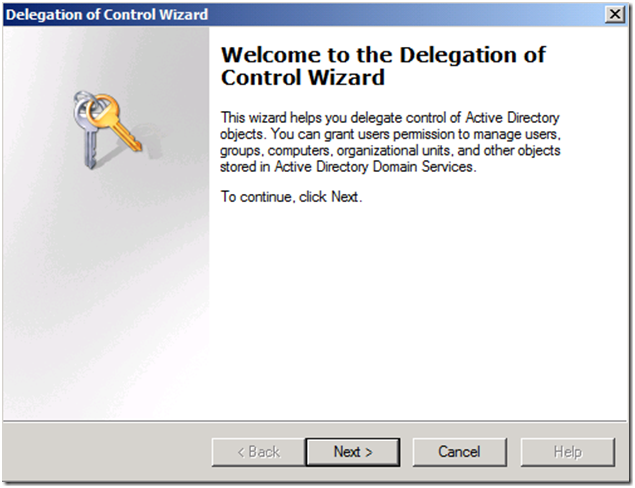 Click Next on the Delegation Control Wizard welcome page. 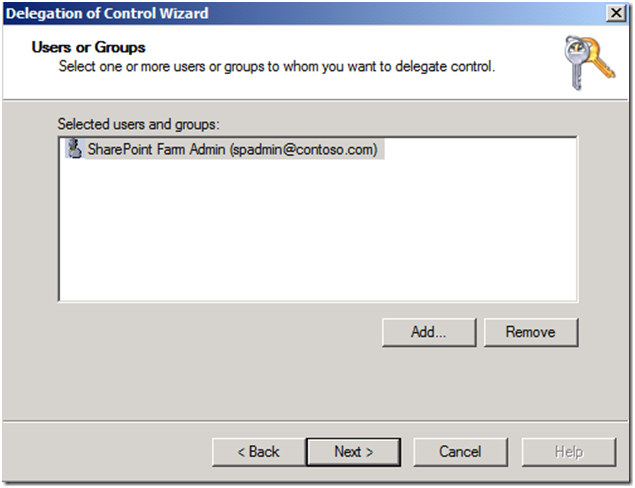 On the Users or Groups page, add the domain\account of your SharePoint farm admin account and click Next. 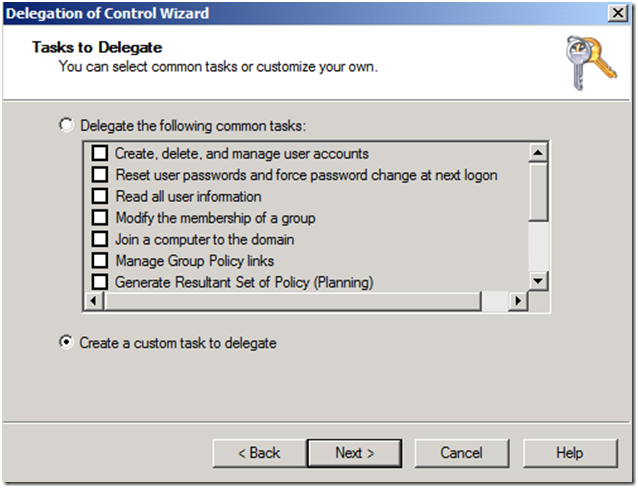 On the Tasks to delegate page, select “Create a custom task to delegate” and click Next. 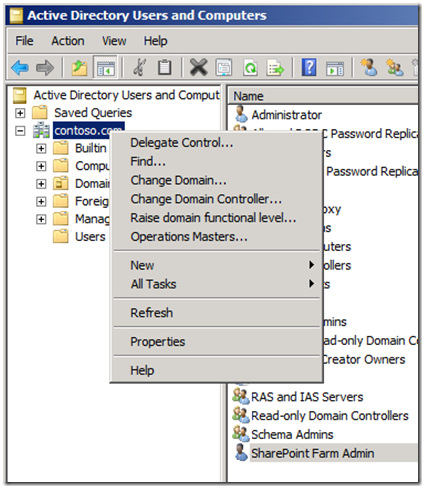 On the Active Directory Object Type page, keep the default options and click Next. On the Permissions page, check the “Replicating Directory Changes” and click Next. 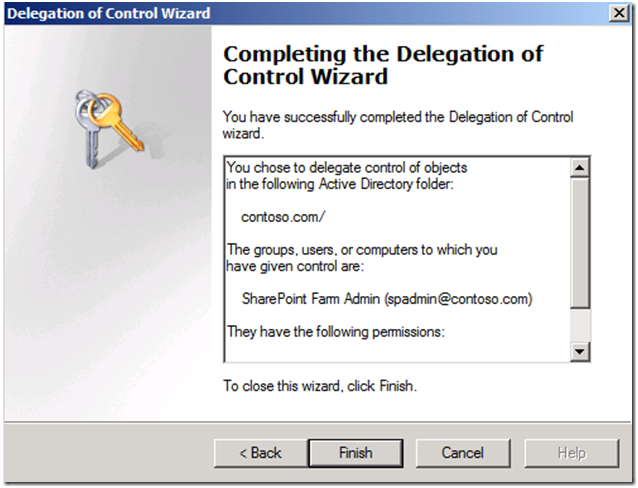 Click Finish to complete the Delegation of Control Wizard.